I’m sitting in front of the tv half watching the Super Bowl half writing this post. So what did you think of the big game? Favorite commercial? Mine has got to be the Budweiser with the Clydesdale running towards his former owner. It brought back a lot of memories for this girl. Good ‘ol growing up on the farm memories. ound the yard practicing for the fair. For the record most of them hated it and it provided daily frustration and me more or less dragging the sheep around the yard until they learned what to do. Probably amusing for those watching, but not for me. Not this one. It would run up to the gate, jump up on the fence and wait for the halter around its head. I still remember it to this day. There’s just something about the feeling of having a relationship with an animal. Kind of like that Clydesdale. After remembering this I might have to go get a dog….we’ll see if the hubby agrees! *EDIT* Well that’s what I get for writing this BEFORE the game was done. As you just read I grew up on a farm. Dodge you spoke straight to my heart. Those cracked hands reminded me of my Dad’s. Years of fixing tractors, making fence, caring for lambs, and never to busy to take his daughter’s hand and walk to the barn together. Proud to be a farmer’s daughter. Best commercial ever. End of story. Oh the recipe? Here it is! Pretty much the best comfort dish in the world. We’ve been making this one for years and it comes from my sister-in-laws kitchen. Plus you can even make it in the Crock-Pot if you want it done when you come home! 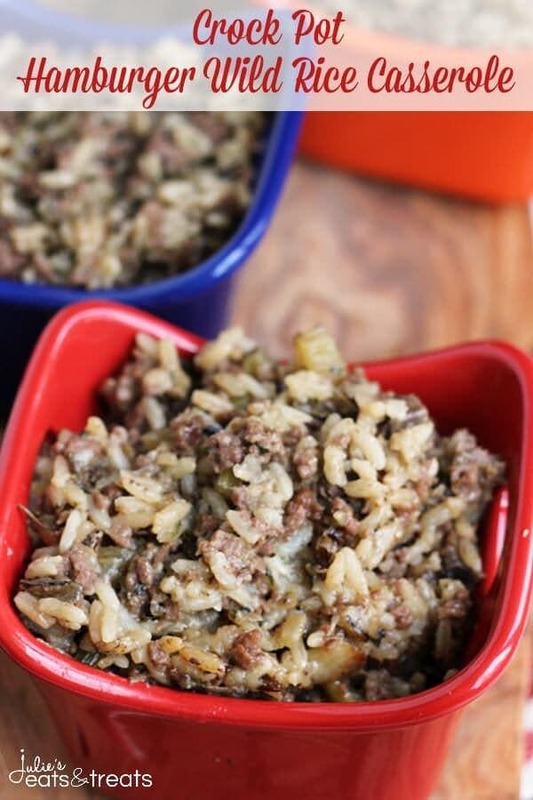 Comforting Casserole Made in the Crock Pot and Stuffed with Hamburger and Wild Rice! Brown hamburger, onion, celery and butter. Drain off fat. Add the rest of the ingredients to the hamburger mixture. Cook for 4 hours on low in the crock pot. 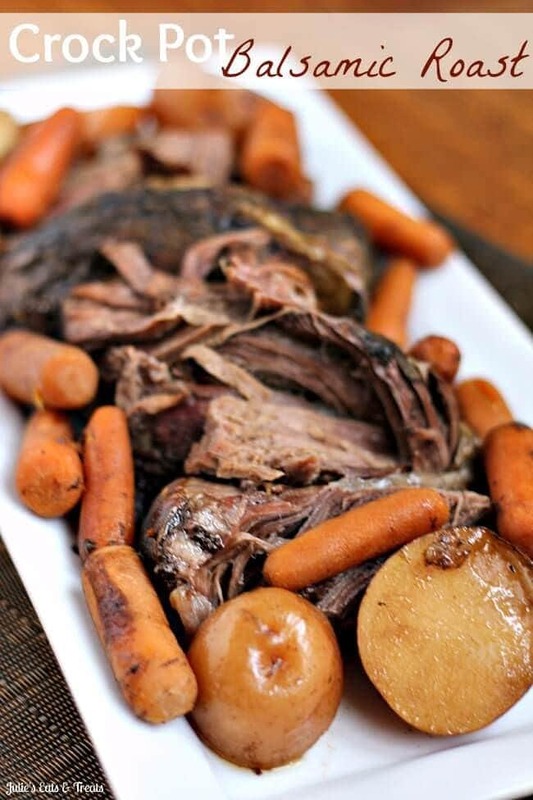 Crock Pot Balsamic Roast ~ Savory Roast, Carrots & Potatoes! 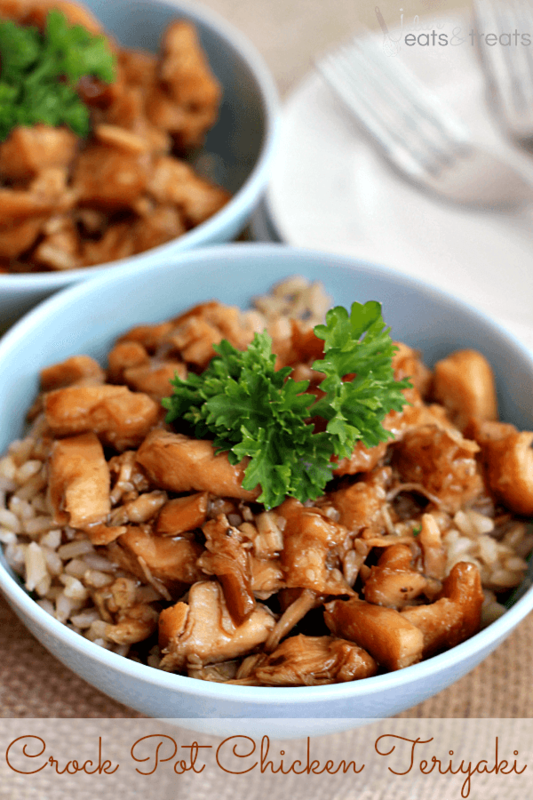 Crock Pot Chicken Teriyaki ~ Super easy and waiting for your in your crock pot when you get home! That Budweiser commercial made me cry. Really, it did. Sobbed like a baby. 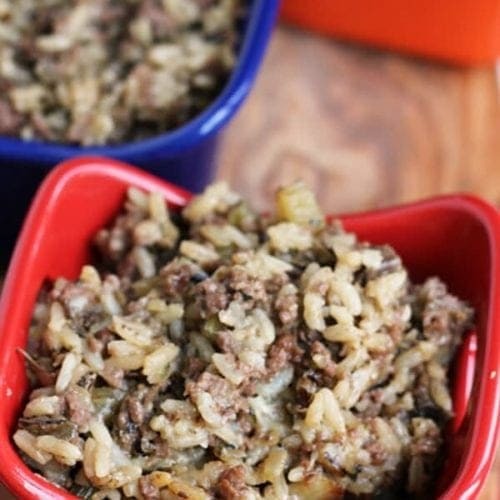 I love love love this casserole! Great recipe, I am definetly going to try this coming weekend. Hi! Making this right now do I add the herbs and seasonings packet from the rice box? Thank you for the immediate response! Smells great already and I think my family will love it! It’s one of our favorites! Enjoy! Wanting to make this soon. Have everything but chicken and rice soup? Can I use something else? I’m sorry DeAnna I haven’t tried anything else! It’s my FAVE! Glad you enjoyed it! Can I cook this on the stovetop rather than in the crockpot? Should I follow the directions on the rice package to do that? I would advise to follow the directions and actually bake it in the oven! Hi, wondering how long you would bake it in the oven and at what temp? Going to try this at a daycare and time is limited. 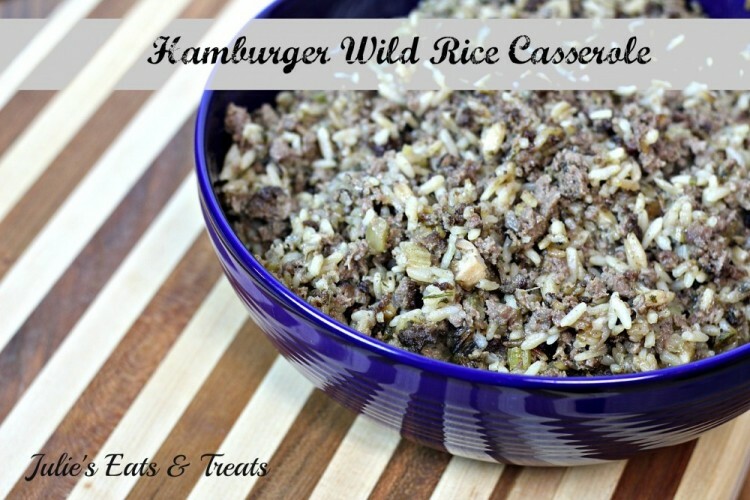 I did make it already for my own family in the crockpot and they loved it! Thank you! It’s going to need to bake in the oven at least a hour! We are trying this tonight with a slight variation or two. Using vegetable soup instead of chicken and rice soup. Using two cups brown rice instead of Uncle Bens. And adding one diced orange pepper and shredded mozzarella at the end to make it cheesy. Trying to use the ingredients we have on hand – will let you know how it goes! Thanks! Let me know how those adaptions go! They sound fantastic! I love this recipe! Do you think trying different cuts of steak would be a decent substitute for the hamburger in the recipe? I have been looking for a recipe like this, very similar to one that I made years ago. I lost the recipe and didn’t remember how to prepare it. I do remember that it was baked in the oven. I saw in one of your responses that you can bake your recipe in the oven. Could you please tell me how long to bake it and at what temperature. I am looking forward to making it soon. This is very similar to a recipe that I used to make years ago. I lost the recipe and and have been searching for a long time. I remembering baking it in the oven. I noticed that in one of your comments, you said that this casserole could be baked. Would you be able to tell me how long you would bake it and at what temperature? I am looking forward to making it soon! So sorry for the double post! I didn’t think that the first one went through! I baked it in the oven at 350* for 30-45 minutes, just long enough for all the moisture to absorb. Super good! Could I mix all the ingredients together the night before and keep in fridge….then put crock pot? Yes I’ve did that before!